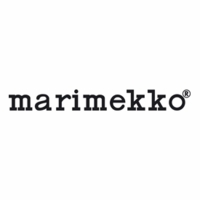 Marimekko Lokki White / Yellow Oven Mitt - 50% Off Or More! 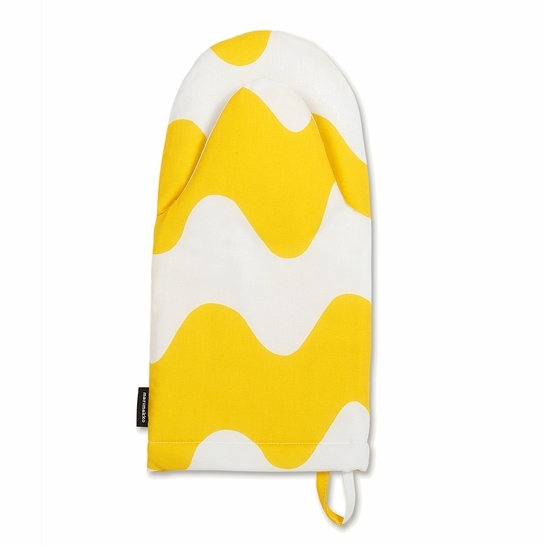 More about Marimekko Lokki White / Yellow Oven Mitt Maija Isola's 1961 Lokki "Seagull" pattern was inspired by the shape of the bird's wings as it glides over ocean waves. Printed on 100% cotton fabric, this Marimekko Oven Mitt features a thick padding for heat protection when pulling pastries out the oven. Easy to clean and store for the next use, you can hang this oven mitt on its loop when not in use for a pop of art in your kitchen. MATERIAL: 100% Cotton. Polyester filling.